This multifunction device is designed for low volume workloads and is aimed at small businesses and home offices. The HP Officejet 2620 boasts both scan and copy capabilities. It is easy to use, but it is bit slow in printing text documents, and print quality is average. Its universal configuration makes the HP Officejet 2620 easy to set up and install. It weighs 5.4Kg and measures 445mm wide, 365mm deep, and 217mm tall. Standard connectivity is via Hi-Speed USB. The device runs on 32MB of SDRAM while being powered by a 360MHz processor. There is a 2-inch Hi-Res mono LCD screen. Paper capacity is up to 60 sheets for the input tray, and 25 sheets for the output tray. The HP Officejet 2620 is compact with a built-in scanner and copier, saving space. The display screen alerts users on ink levels for timely and fast replacements. There is an automatic document feeder that allows the scanner to work with 35 pages and save in multiple formats. 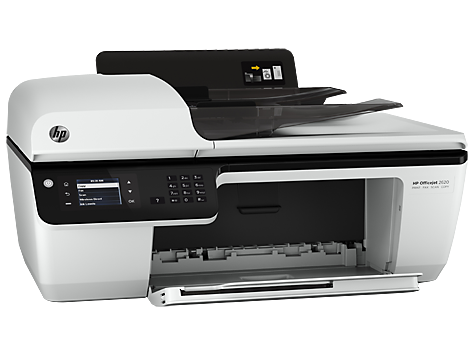 The HP Officejet 2620 does not consume large amounts of power and it is quiet. It lacks a duplexer, built-in Wi-Fi, and a card reader. The paper capacity and memory are not expandable. The HP Officejet 2620 uses a tri-colour cartridge, which can be costly in the long run. Text printing is slow, and paper tends to jam, interrupting productivity in the process. Colours appear washed and photos look grainy when printed. The copier cannot accurately reproduce images. High capacity cartridges for the HP Officejet 2620 run out fast.